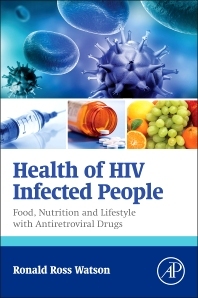 Health of HIV Infected People: Food, Nutrition and Lifestyle with Antiretroviral Drugs provides basic and applied knowledge on the supportive roles of bioactive foods, exercise, and dietary supplements on HIV/AIDS patients receiving antiretroviral drugs. Approaches include the application of traditional herbs and foods aiming to define both the risks and benefits of such practices. Readers will learn how to treat or ameliorate the effects of chronic retroviral disease using readily available, cheap foods, dietary supplements, and lifestyle changes with specific attention to the needs of patients receiving antiretroviral drugs. This work provides the most current, concise, scientific appraisal of the efficacy (or lack thereof) of key foods, nutrients, dietary plants, and behavioral shifts in preventing and improving the quality of life of HIV infected infants and adults, while also giving the needed attention to these complex and important side effects. 22.4 What Is the Adequate Intervention on the Scope of Subject Heterogeneity?